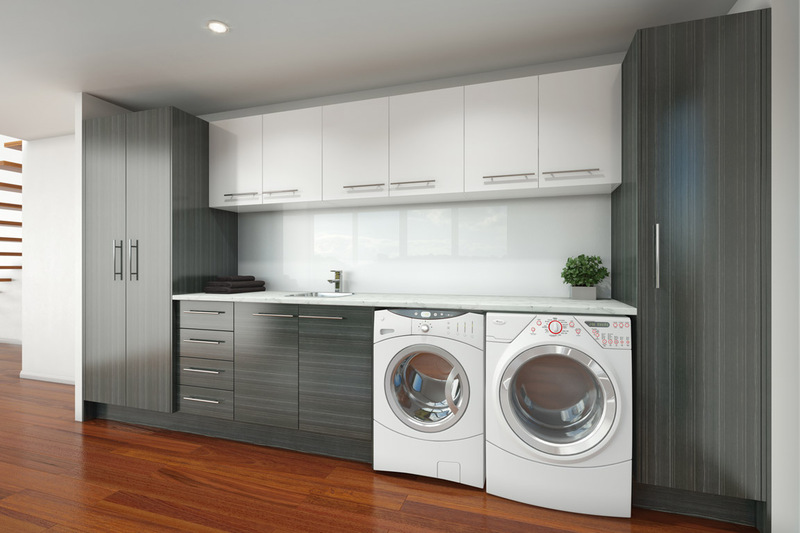 This contemporary modular laundry has plenty of space for your linen and laundry essentials plus extra room for the all important hidden laundry basket. The overhead cupboards are ideal storage and there is plenty of bench space for sorting and folding. You can choose any cabinet in this brochure and mix and match our huge range of colours and handles. Personalise your cabinets with our ultimate selections to create just the look you are after! Check out the stunning selections that can be used on any laundry cabinet – at NO EXTRA COST!